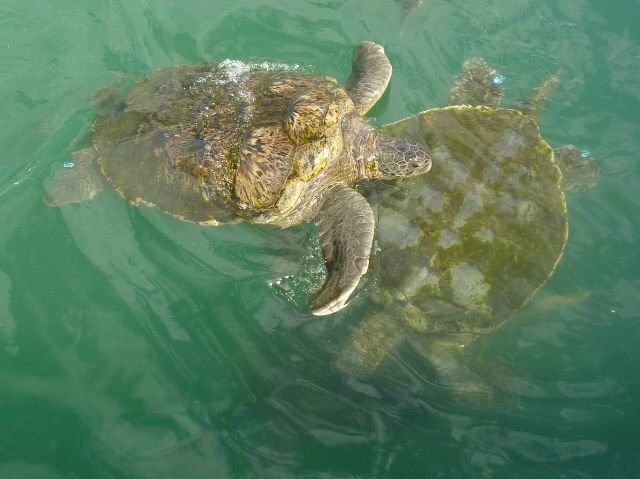 We got to snorkel with, and later hold, small green sea turtles at the Cayman Turtle Farm. Sadly, without an underwater camera, I was restricted to surface shots of their larger brethren. (c) 2013, Jessica Thompson Blatz. All rights reserved.